There aren't enough food, service, value or atmosphere ratings for Les Moulins La Fayette, Canada yet. Be one of the first to write a review! 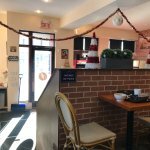 Excellent French bakery in the village of Pointe Claire. We love their baguettes, pain au chocolat, and the staff is very friendly. We had breakfast here, great food, pastries, bread and sandwiches. Even bought things to go and brought them to Florida. 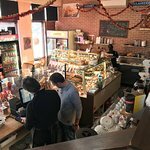 Fresh croissants, breakfast sandwiches, baked muffins, viennoiseries, breads & espresso based coffees/quaint sidewalk Terrasse/ the most popular café in village Hands on owners/great staff They've earned their reputation Cheers! Get quick answers from Les Moulins La Fayette staff and past visitors.